This box was almost too easy. This is the style of attack that is generally used to demonstrate how hacking and Metasploit work to folks new to the field. This would be a great starter box for anyone. I just started off with my standard NMAP command. 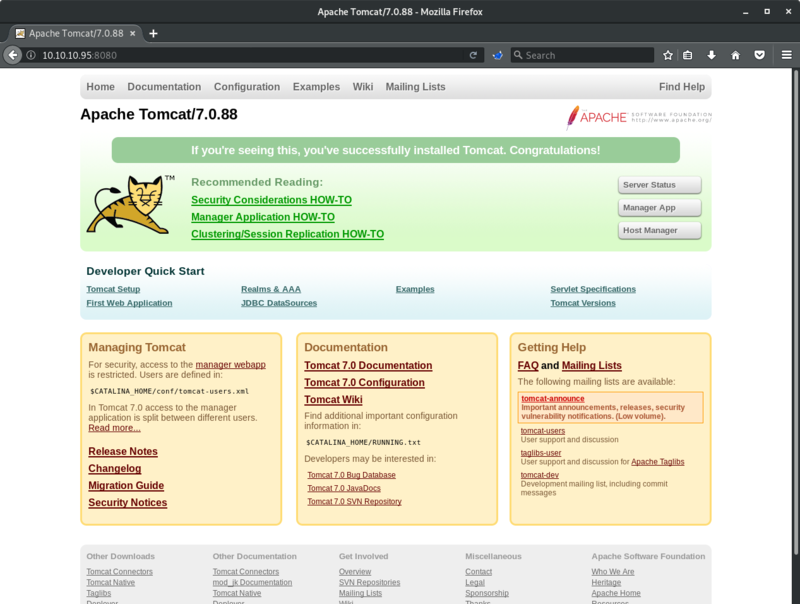 Which revealed an Apache Tomcat Server running on port 8080. Browsing to the server reveals that this is a default installation. Further more, a few attempts at default Tomcat credentials reveals that the username/password combo is tomcat:s3cret which I found with a simply Google search. This provided access to the Tomcat Manager page. With access to the Tomcat Manager, owning this box is now trivial. A little more Google searching will yield many guides on uploading a malicious WAR file to gain access to the OS. I turned to Metasploit for this. Searching for "tomcat" gives me a a few options. 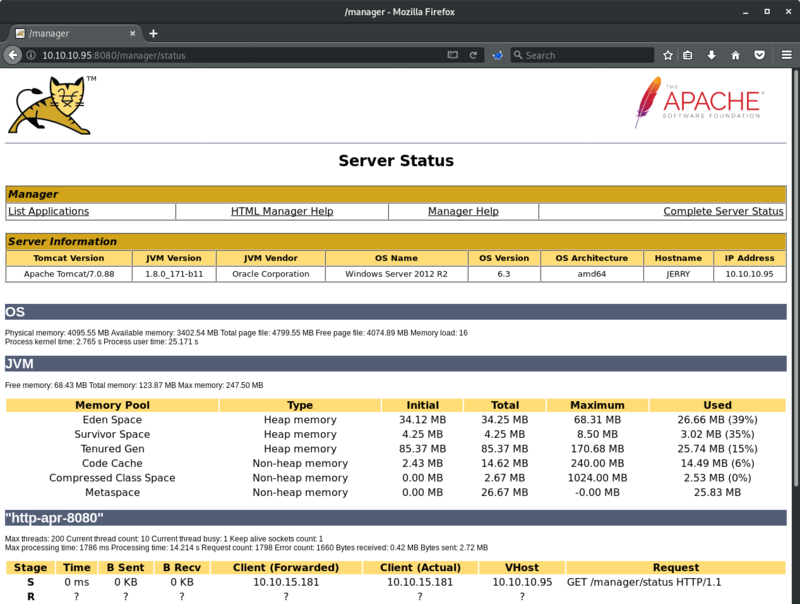 I used the Windows target and payload because the Tomcat Manager page indicated this this server is running Windows Server 2012 R2. Dropping into a shell reveals that I am running as the system user. Having prior knowledge of where flags are located on these boxes, I went straight there for the win.